Last month I took a slight departure from my normal business how-to posts and shared how a simple shift in mindset helped our business grow. The aim of the post was to encourage readers to think differently about their businesses; to focus less on passion (which often isn’t lacking in a creative small business owner) and put more of an emphasis on strategy (which has the potential to grow a business and keep it up and running). So today I’m doing just that by elaborating on the 3 key strategies we used to take Elle & Company from stagnant to successful. While there isn’t a one-size-fits-all solution for creating a successful business, my hope is that you’ll be able to grab a few big takeaways and radically transform your business, too. When Elle & Company launched in January 2014, I followed the footprint of many other bloggers by sharing content that ran the gamut. 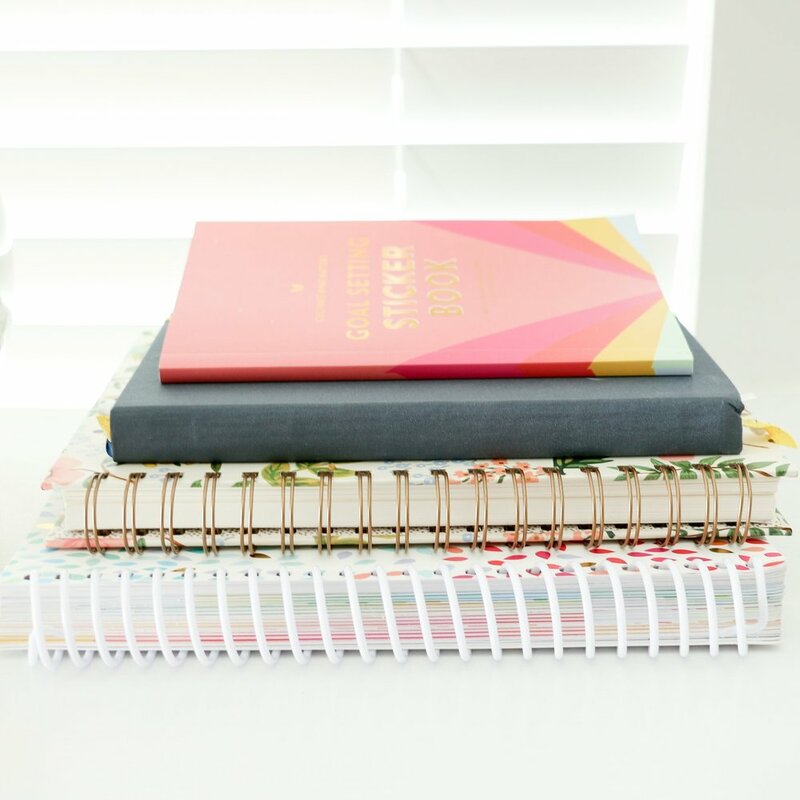 Portfolio additions mingled in with my favorite recipes, weekend recaps ran side-by-side with inspirational roundups, and humorous letters filled my archives alongside faith-based posts. I was all over the place. My wide range of blog topics was not only unappealing to my ideal audience, but each post revolved around me. My interests, my design work, my favorite things, my life. It’s no surprise my blog didn’t grow. Why would a new visitor - a stranger who doesn’t know me from Adam - care about me or my interests? The content I was sharing didn’t benefit Elle & Company blog visitors. And more importantly, the content I was sharing didn’t benefit potential customers and clients. So we began shifting the focus onto the Elle & Company audience. With each post, email, and offering we asked the question: How will this benefit those who follow along with us? That one question alone put the wheels in motion for positive change in our business. Instead of trying to draw in customers by shouting my name and interests from the rooftops, I started thinking of ways I could bring value to the very people I wanted to book my design services: creative entrepreneurs. 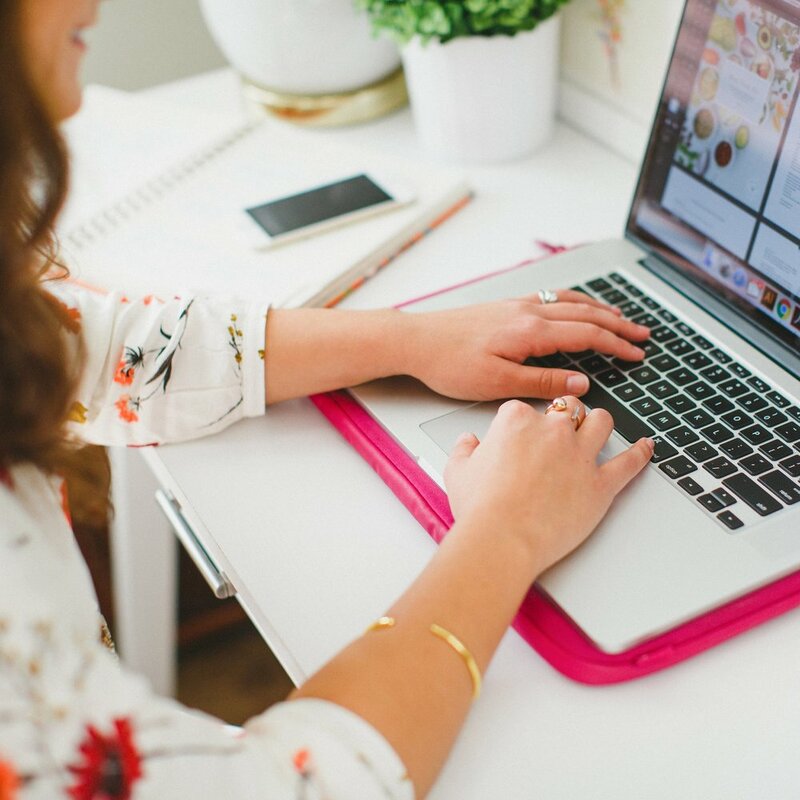 Instead of posting personal posts on my blog, I began to transparently share tips on business and blogging, (to attract other business owners), design (to highlight my expertise), Squarespace (to encourage others to use the platform I use for my design clients), and my client process (to give business owners an inside look at what it’s like to work with me). Instead of using my newsletter as a hodgepodge of information, I invited creative entrepreneurs behind-the-scenes for an inside look at the strategies we’re using to grow our blog. Instead of offering a wide range of items in the Library, I refined my offerings and began to gear them toward creative entrepreneurs by including business card templates, workbooks, and to-do lists. And the craziest thing happened; potential clients and customers started finding me. I gained their interest not by promoting myself, but by finding ways to benefit them. Consider how you’re adding value to your audience with each business decision you make. Pare down and zero in on topics, products, and services that benefit them. Follow the 90/10 rule for your blog, newsletter, and social media accounts (90% helpful, beneficial content and 10% promotion). If you’re providing value, returning to your blog/business will be a no-brainer. The Elle & Company site is the home base for our business. It’s where people view our offerings, browse my portfolio, book my services, purchase a subscription and/or log in to the Library, learn more about us, read our articles, reach out to us, etc. So we knew that in order to grow our business and earn an income, we needed to drive traffic to our website. This is why blogging has been crucial for us; it brings in a steady stream of visitors - both new and returning - to our site each week. For 6 months we went all out to produce high-quality content each weekday and increase our site traffic. I can’t say that it was easy and there were many late nights, but the impact it had on our business is unparalleled. Our take on social media changed, too. Instead of simply trying to increase our following on Twitter, Instagram, Facebook and Pinterest, we focused more on how to get those followers back to our website. We viewed those platforms as a funnel to drive traffic to our site. We realized that we were only reaching a small fraction of our audience on each social media platform, too. By focusing our efforts on site traffic and using social media as a funnel, we were pooling our audience and pushing them all toward the same place (where they could then purchase a seat to one of our e-courses, subscribe to the Library, or inquire about my design services). By putting the most emphasis on our website and funneling everything else into it, my design services have been completely booked (and my waiting list continues to grow), we’ve experienced a large increase in Library subscribers, and our e-courses have sold out with each offering. Instead of putting all of your eggs in one basket with social media platforms or your newsletter, put a larger emphasis on your website, the place where people can purchase a product or book your services. Think strategically about how to increase the traffic to your website and consider blogging, if you aren’t already. And lastly, invest time and money into a user-friendly, professional website. I’ve learned that the “experimental phase” is important for every small business owner. You might be able to relate to that awkward beginning phase where you have no clue what you’re doing and not the slightest idea who your ideal audience is, so you experiment with different offerings, processes, and styles until you’re able to hone in on what sets you apart from others in the industry. Elle & Company’s experimental phase lasted well over 6 months. I relied too heavily on what I’d seen others in my industry have success with and I set my goals on getting to where they were. I struggled to highlight my distinct design aesthetic and develop my brand because I was inundated with the design style of others I admired. And then, right along with my change of perspective on blogging and business, I ditched everything I’d seen others do in my industry and decided to embrace what worked best for me. I stopped setting my sights and goals on what had already been done before and made up larger dreams that expanded outside of my current niche. I switched up my design process and resolved to work with one client at a time over a timespan of 2 weeks. I stopped trying to mimic a cool, hipster style that seemed popular and instead embraced my feminine, colorful aesthetic. I fine-tuned my blog graphics, created a distinct color palette, and developed a stronger visual appearance that better reflected my design style. And while I’m naturally inclined to stay in my comfort zone, my risk-taking, adventurous husband showed me that in order to grow a successful business, you have to take risks and differentiate yourself. We continue to work on this with each passing day. Differentiation, along with a stronger focus on our audience and greater emphasis on website traffic, played a huge role in Elle & Company’s growth. What are some actionable, effective strategies you've implemented for growing your business?